Runners from Bedford House still remain on the quiet side, even with the glorious weather upon us and, again, the ones that have run have proved to be a mixed bag. Recollect was one of these when dropped back to six furlongs at Brighton on the 8th June. Having continuously worked well at home it was obviously disappointing to only finish 5th and he remains a maiden. Buxted Dream also ran at Brighton on the same day over the same distance and finished fifth. Unfortunately, he appears to have got into the habit of missing the break so he has had a spell at Gary Witheford’s to try and iron this kink out. Saving Grace put in a creditable performance at Haydock on the 8th June to finish a fast finishing third over a mile and a half. The winner, who made all, steadied the pace after a few furlongs and then quickened the tempo turning in to the straight. This caught Saving Grace a bit flat footed as she needs a good strong gallop throughout and, by the time she had got back in to top gear the race was all but over. God Given (pictured) returned to the winner’s enclosure after putting in a gutsy performance to take the Group 3 Pinnacle Stakes at Haydock the following day. Having made the running in a number of previous starts we were hoping to get her settled in behind Titi Makfi who would have been a guaranteed pace maker. However, with the defection of Titi Makfi on the morning of the race, Jamie Spencer had to sit in behind a steady enough pace set by Melinoe. Although Jamie looked comfortable entering the straight it was the fast challenging Crimson Rosette that proved to be the biggest danger. Entering the final furlong she moved menacingly upsides God Given, however, Jamie was not to be denied as he urged God Given to pull away and win comfortably in the end. There are a number of options for her over the next couple of months including the Group 2 Lancashire Oaks, Group 2 Lillie Langtry Stakes and the Group 1 Darley Yorkshire Oaks. Four White Socks confirmed the promise she had shown at home and on her debut at Windsor when scooting home at Goodwood over a mile a quarter. Coming back in to the winner’s enclosure, Jamie Spencer could be overheard saying that she won very easily and she will now step up again when she goes for the Group 3 Hoppings Fillies Stakes at Newcastle.Drill was another to win convincingly when stepped up to a mile and a quarter at Chelmsford. Ryan Moore always had him handy throughout the race and then, turning in to the home straight, asked him to quicken which he did readily to win by 2 ¼ lengths. Fairlight was another to fall slightly short of expectations when finishing fifth at Kempton having made what looked like a promising debut earlier in the season. He has had an easy couple of weeks at home and once he gets a handicap mark after his third run there will be more options open to him. 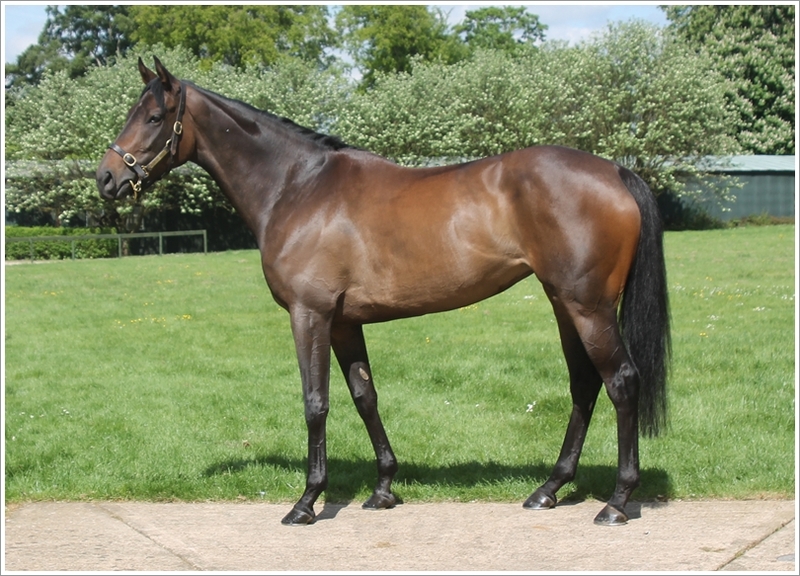 We were very pleased with Gorgeous Noora’s seasonal debut at York on the 15th June in a Class 2 fillies handicap. Having been off the track since last November she was a bit too fresh through the early stages of the race. However, where many would have faded away she kept on gamely to finish third under Danny Tudhope. She is sure to improve for the run and will next be seen at Newmarket on Friday. Drap d’Or has had two starts this season over a mile and a quarter and made some improvement on his debut last time out at Sandown. He will have his third run at Nottingham this week and will then be eligible for handicaps. Ashington finished in the runners up spot again at Doncaster on the 17th June but, unlike last time out where he just missed out, this time he was unable to make any impression on the winner who made all to win by a 1 ¾ lengths. The same day, over at Salisbury, Konigin made her racecourse debut in a fillies novice stakes over a mile and a quarter. She raced greenly throughout the race and is sure to improve for the experience and will be aimed at a similar race next time out. Alwaysandforever was unlucky to get some winning Black Type when getting chinned on the line in the Listed Pontefract Castle Fillies Stakes. Having been slow away at the start she soon got back in to contention and made her challenge for the lead with a furlong out only to go down by a short-head on the line. In other news, I am pleased to report that Pleasant Surprise is now back in fast work having missed the first half of the season due to a minor surgical procedure on her back. She looks in fantastic condition and, hopefully, she will be able to pick up more Black Type later in the year. Our two year olds have also been in fast work for a number of weeks now and, with any luck, we should have our first runner in a few weeks.